Scrolling through social media, I see pictures each day of friends having fun with their grandkids. I fight off feelings of envy when I read posts about going to little league games, having weekend visits, or picking up grandchildren from school. Because we live in a different city than our grandkids, we’ve missed the chance to experience these simple, everyday joys. Long-distance grandparenting definitely has its challenges, but with the holiday season comes hope and expectancy. Families will gather to eat, play games, and just enjoy being together. Children aren’t the only ones we will see beaming with anticipation over the holidays! Grandparents everywhere look forward to this time of year because they will get to do the one thing they love most—spend time with their grandchildren. But realities like scheduling conflicts, traveling issues, and more can put a dark cloud over our much-needed time together. Living far away from family only adds to the frustration. That’s why being intentional about time with our grandkids during the holidays is so important. Maybe you have your Christmas vacation all planned out this year, and you can’t wait for the few days you’ll get to immerse yourself in your grandkids’ lives. Or maybe like me, you’re still not sure what the holidays will bring. Whatever our situation, these 5 tips will help us make the most of the holidays as long-distance grandparents. 1. Avoid misunderstandings—communicate from the heart. Let’s face it—kids have super busy schedules these days. When our plans involve traveling to our children’s homes for a visit, we may feel like we’re invading their space. Will our grandkids have other activities planned? Or will time with us be the priority? Sure, we’d like to think our Christmas together will resemble a Hallmark movie, complete with baking Christmas cookies and building gingerbread houses. So when a last-minute ball practice happens or the kids venture off to a sleepover at a friend’s house, our old-fashioned Christmas dreams could shatter into a million cookie crumbs. And no one wants that! Along with letting go of any expectations that things will go just perfectly, we can also avoid misunderstandings by openly communicating our desires ahead of time. Let’s talk to our kids about it. Will they come see us, or will we travel to see them? Will our visit include adventurous outings, or mostly hanging out around the house? Talking doesn’t have to mean planning every detail. I for one am still learning to embrace flexibility. But it can mean mutual understanding, which will lead to a more relaxed and enjoyable time together. 2. Instead of dwelling on what we don't have, dwell in this present moment. Do you ever feel like the ‘other’ grandparent? Like living farther away leaves you overlooked, or even forgotten? Missing our grandchildren can cause emotional stress and sadness to surface. The last thing we need to do is allow those negative feelings to take over. It isn’t easy to watch as the other set of grandparents, who happen to live closer, enjoy more involvement in our grandchildren’s lives. But we have a choice. We can dwell on what’s missing, or we can see the blessings in our relationships—right where they are. Whether it’s every day, a week at Christmas, or two weeks over summer break, we can create lasting memories with our grandkids. They will begin to associate their visits to our house with the fun things they remember about being here. When my grandkids visit during the summer months, we always make homemade pizzas. My granddaughter loves a trip to the local bookstore, and our grandson enjoys board games. The simplest moments will become the memories they will never forget. So let’s not allow the time we don’t have with them to overshadow the goodness of today. Each moment with them is a gift from God. Let’s savor it. 3. Embracing technology—let your grandchildren teach you. It’s a catalyst for progress and the enemy of doing things the old-fashioned way. It keeps the world around us moving at high speeds while keeping the faces of the next generation buried in their phones. It’s technology, and many grandparents would agree—we can get along just fine without it. Today’s teens have never known life without advanced technology. Middle school students have had their whole lives captured on parents’ smartphones. High school students everywhere complete and submit coursework entirely online. As the younger crowd learns new ways to communicate with technology, shouldn’t we consider doing the same? I may be content to ignore the latest social media network or trendy app, but I could be overlooking the best way to connect with my grandkids from far away. Want to get a glimpse of your teen granddaughter’s daily life? Try following on Instagram. Wishing you could let your grandson know how much you miss him? A quick text or Facetime is the answer. There may be a learning curve, as with any new adventure, but teens make excellent teachers. And the time you spend together learning this new skill is an added bonus! So this year, instead of letting technology create a larger gap between generations, let’s embrace the possibilities in front of us. When we see the grandkids focusing on their phones, let’s ask questions. Engage in real talk. We just might find that focus shift from their smartphones to quality time with family. 4. Give something to enjoy now, and something to cherish later. I’ll always remember getting a call from my grandmother around Thanksgiving, asking what I wanted for Christmas that year. Yet even though I recall having that conversation, I don’t remember most of the gifts I received. It’s her voice I remember most of all. Sometimes I can get carried away trying to compensate for the time we miss with our grandchildren by placing too much emphasis on purchases. Don’t get me wrong; I love to shop for them, especially this time of year. But I’ve discovered purchases with the wrong motives can lead to dissatisfaction and a longing for more. To make the most of our gifts, we should first give prayerful consideration to our priority —our time together. We’ve found the best gifts for our grandkids encourage interaction. We love playing the latest games, and we can always find something the whole family will enjoy. Instead of simply sending gift cards, we give them as gifts and then plan a trip together to the store. That way, we see the joy on their faces when they pick out their gifts while taking in a few extra hours of their company. As we plan our purchases this year, let’s begin with memories we have of our own grandparents. What do we cherish the most? Conversation, activities, even handwritten notes will be remembered long after those current wants are forgotten. Let’s be intentional about giving them gifts they will enjoy now, and something they will cherish later. By doing this, we will give them the greatest gift—memories to last a lifetime. 5. Stay connected after the holidays. I always have good intentions about keeping in touch with my grandkids throughout the year, but those dreaded schedules and unexpected circumstances seem to take over around February or March. As a result, I fall right back into the routine of letting too much time pass between visits. When we want connection above all else, we need to make a commitment to stay connected and stick to it. That ‘stick-to-it’ part can be hard, can’t it? I know firsthand the heartache resulting from making a New Year’s resolution to connect more, only to fizzle out after a few short months. I’d like to say I’m efficient about calling and texting throughout the year, but I’ve fallen short too many times. When I don’t prioritize connection with my grandkids, the distance between us seems to grow. But making a point to stay in contact with them each month of the year will keep our relationship close, leading to more meaningful times together as they get older. 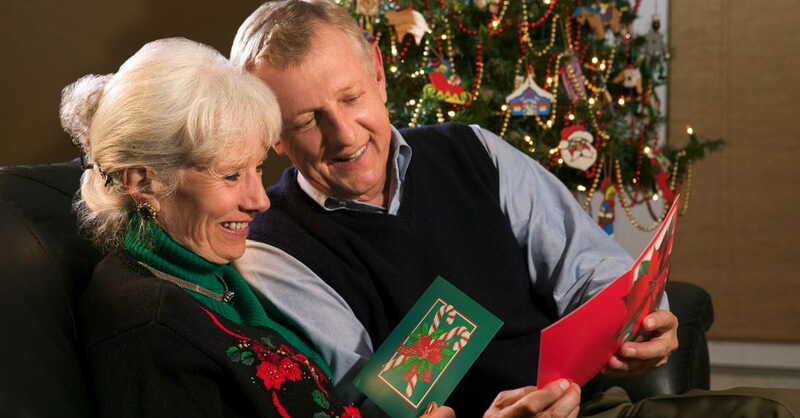 What does this holiday season look like for you and your grandchildren? Do you desire more meaningful time together, but know the struggle of living far away? This year, let’s resolve to strengthen our relationships with our grands with these ideas. Let’s communicate, connect, and enjoy every moment. With love, effort, and commitment, our relationships with our grandkids will grow deeper with each passing year. We can have the togetherness we hope for, even living as long-distance grandparents. And let’s not forget to capture a few photos this year to post for all our friends to see! Kristine Brown is a communicator at heart, sharing insight with her readers in a relatable way. Her life experiences serve as a backdrop for her lessons that highlight God’s powerful Word and redemptive grace. She is the author of the book, Over It. Conquering Comparison to Live Out God’s Plan, and founder of the non-profit organization, More Than Yourself, Inc. Read Kristine’s weekly devotions at kristinebrown.net or connect with her on Facebook and Twitter.